Need replacement parts or to replenish your consumables? We are here to help! Regular maintenance, service and calibration provided by Prescott Instruments or our agents are vital to continually provide consistent and reliable testing over a long period of time. Should components need to be replaced or replenished, we are here to help you. We are committed to providing support to our customers at every step of the way; as a part of our service and calibration facilities, we offer a wide range of parts for all of our products as well other legacy and established testing equipment. 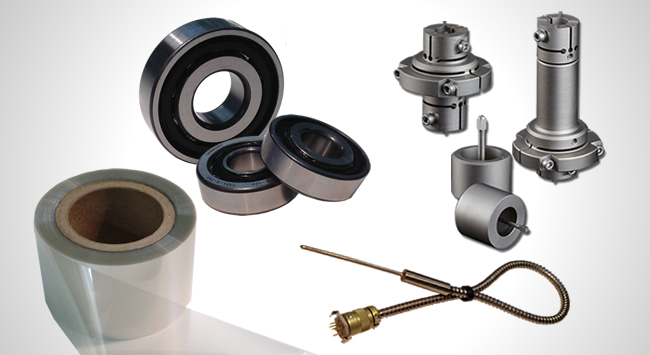 Our comprehensive stock of parts and consumables are regularly available for shipping on the same or next business day. We have a range of quality replacement items, spares and tools for all aspects of rubber testing operations and maintenance. Also available is a range of testing film pre-cut, and rolls of film including Dartek.